There are about as many types of small tractor owners as there is makes and models on the market it would seem. Some owners practically live on their little machines, while other owners dust off their tractor at certain times of the year, or put on a few hours here and there. I would daresay that the majority of small HP tractors sold still have an old style dry clutch type arrangement for changing between gears – as well as forward and reverse. This is for good reason. The basic design has been around nearly as long as the internal combustion engine. It is an old yet proven design in tractors and certainly keeps the manufacturing and maintenance costs down compared to the more sophisticated wet clutch and clutchless hydrostatic transmissions. Damage to the clutch from not engaging it properly. A dry clutch, however is a wearing component; and as such is not covered by warranties. Misuse can severely shorten the life of the clutch plate, necessitating costly repairs. The abundance of grass from the warm, wet weather means many tractors will be wheeled out for slashing duties over Christmas. It is a timely reminder to investigate your tractor’s clutch and revisit some simple procedures to maximize the life of your clutch. I think modern manual cars with their smooth-shifting and forgiving, synchromesh gearboxes let us to forget that all that momentum stored in a tractor’s heavy flywheel is constantly in contact with the clutch plate. It is just the amount pressure that varies. In other words, the clutch is slipping and therefore wearing, even when the clutch pedal is fully depressed. 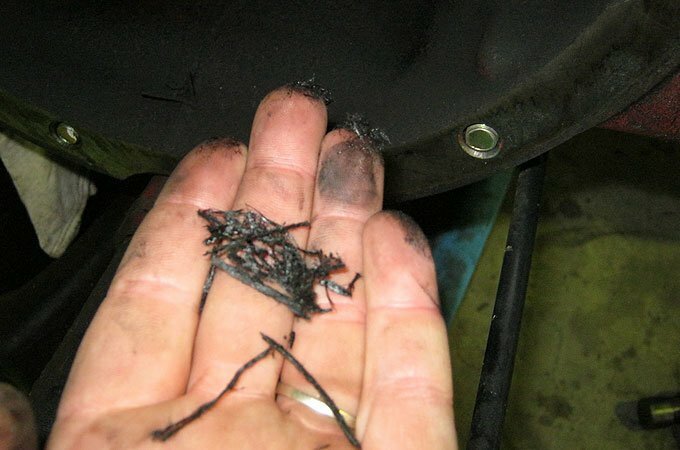 This is why internal oil leaks from the engine or transmission can cause the clutch to burn out – they are lubricating the surfaces. You can also imagine that by even resting your foot lightly on the pedal is causing slippage even if you can’t notice it in the tractor’s performance. If you add to the equation a heavy front end loader work you can understand why I’ve seen clutches burned out after 4 hours on a brand new tractor! 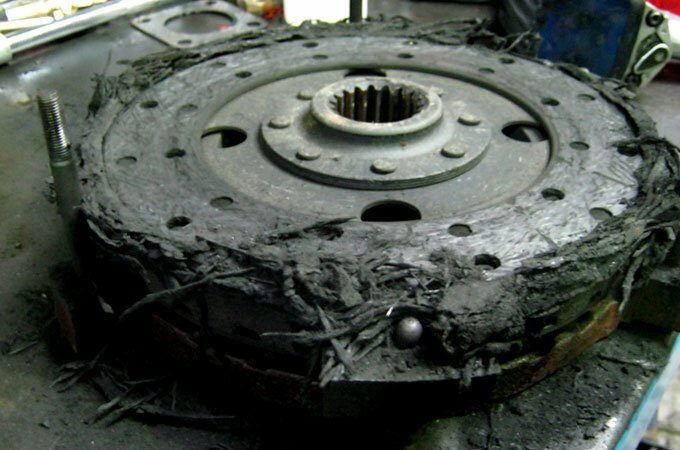 More damage to a clutch. Do not ride the clutch. Keep your foot off the clutch pedal when not using it. The extra weight from your foot will cause the clutch plate to slip and the clutch plate to burn. Not desirable. Quick disengage, slow reengage. Depress the clutch speedily to disengage the clutch and return the pedal slowly to reengage it. This simple tip minimizes a lot of clutch plate wear. Do not drop the clutch. Do not use the clutch to jerk a load or to abruptly put the tractor under load. Do not drop the clutch to rock your tractor if you are stuck (engage your diff lock). Ease a clutch, do not drop it! It’s either in or out. Don’t try to feather the clutch when scooping up loads in the bucket for that extra inch forward. Really, if you need to do that you are in too high a gear. Select a lower gear. Keep it in one gear when PTO engaged. In many small tractors the PTO is also run off the same clutch plate. If you need to change up or down a gear, range or select forward or reverse with the PTO engaged/under load, then bring the tractor to a stop. Disengage. Select drive/gear/range. Engage PTO. Proceed, bringing up the revs as you go. Maintenance. Maintain or have your clutch serviced at the appropriate intervals as per your operator’s manual. As it is a wearing component it will need to be adjusted to take out any excessive free play that develops as a part of normal use. If you are in a situation where you need to replace the clutch, make sure you get the flywheel and pressure plate machined as well. They are designed to accommodate this. It is quite an expensive proposition to have a professional replace a clutch plate in a tractor, as they need to be split to access these power-train components. 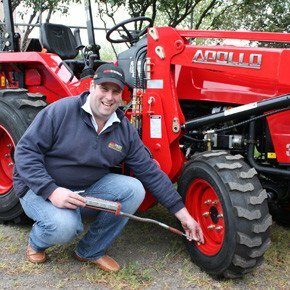 (The bellhousing, traditionally, is an integral part of the tractor’s chassis). If you are going to the expense of replacing the clutch, it is cheap insurance to have these other components in tip top order as well. When used correctly a dry clutch should give many, many hours of trouble free service.